A flexible storage system to build your own combinations. 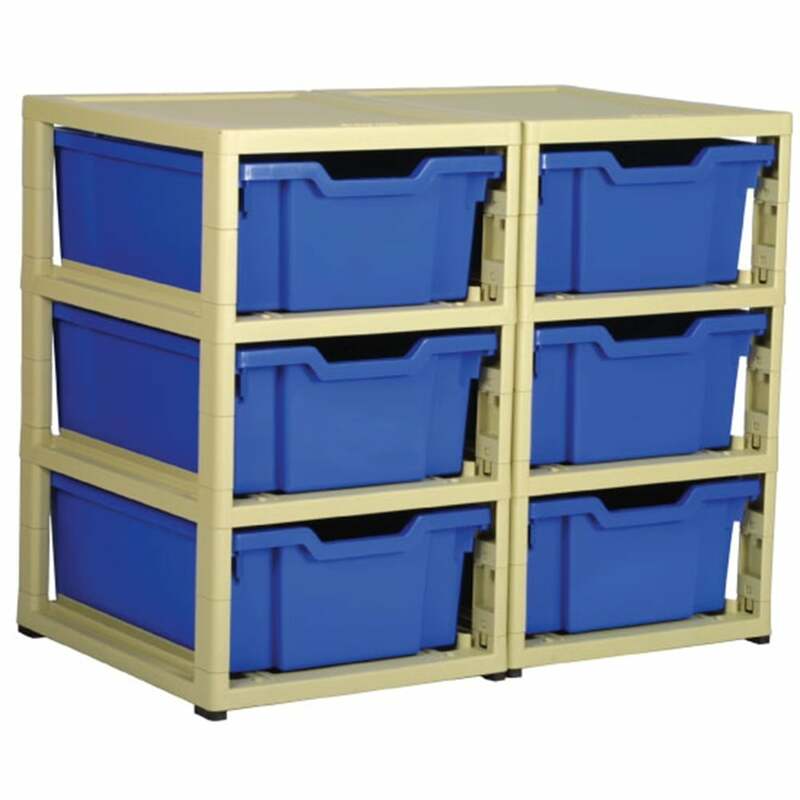 Assembled units can be ‘clicked’ together upwards and side to side to build your own storage system. Supplied complete with GRATNELL trays and available in Red, Blue and Transparent. Suitable for use under desks and benches. Optional castors for mobility also available. Supplied in component form and will require simple self assembly, no tools required.